I have a solo show at Figure One as part of their n to Watch series during the month of February. 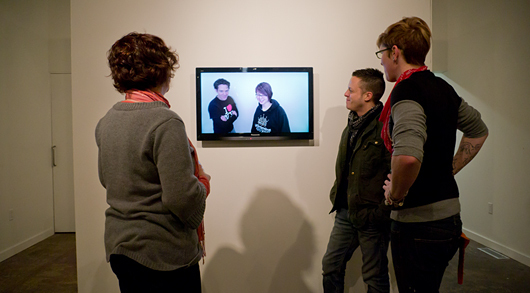 I’m showing two works: Speed of Reality, in the front room, and Protocols of Looking, in the back. n to Watch is a year-long set of shows curated by Allyson Purpura, Terri Weissman, and Jimmy Luu “that brings relevant and engaging ideas from the School of Art + Design’s classrooms to a public forum.” Figure One is located at 116 N. Walnut in Downtown Champaign. Open hours are Wed. 12-4, Thu-Sat 5-9. 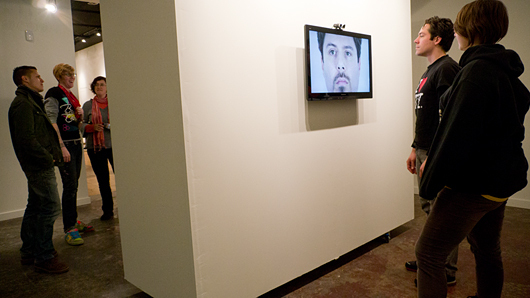 There is a closing reception on Friday, Feb. 24th from 6-9p.